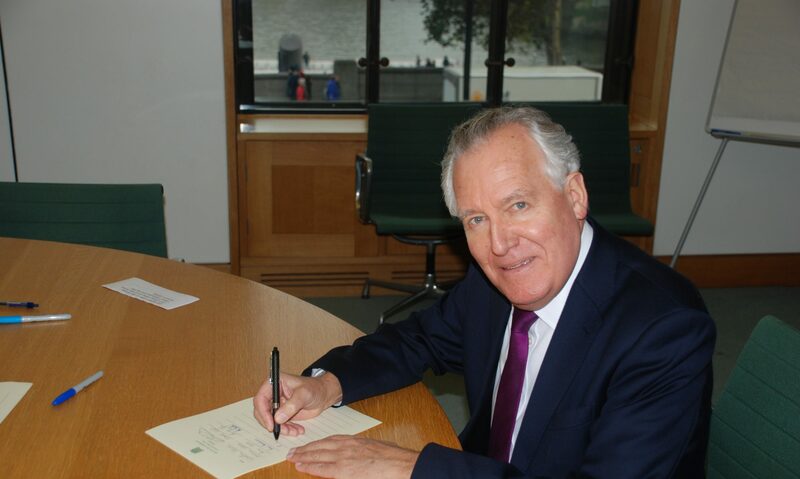 South Africa’s ANC must renew itself from “top to bottom” or it will be ousted from power, former Welsh Secretary and anti-apartheid activist Peter Hain has warned. The South African-raised Neath MP who first came to prominence as a lead campaigner against apartheid-era cricket and rugby tours has returned with a film crew to a country in which Nelson Mandela’s party is now dogged with accusations of cronyism and corruption. The impetus for the BBC film, which will be shown next week on April 24, was a massacre last August in which 34 miners were shot dead. Police and miners clashed during protests outside a mine in Marikana, just outside Johannesburg. In the hour-long documentary Mr Hain speaks to the families of some of the dead men, President Jacob Zuma, the chief executive of the mining company, and leading ANC veterans. According to the BBC, he “uncovers a day of shocking brutality with many disturbing allegations”. Mr Hain is emphatic the discontent rocking the country today is more than an emotional backlash in response to the euphoria which greeted the fall of the apartheid regime in 1994. “No government ever satisfies is expectations… It’s just a law of politics,” he said. In South Africa he found causes for deeper concern with a party which once fought for a vision of a multiracial South Africa now mired in corruption allegations. Despite the ANC’s electoral dominance, Mr Hain maintains that it is in danger of losing office unless it can “renew itself from top to bottom”. Mr Hain also met with Julius Malema, the expelled former president of the ANC Youth League who made headlines with his visits to Zimbabwe and his singing of the apartheid-era song Shoot the Boer. However, he is hopeful that South Africa will not follow its neighbour towards a Zimbabwe-style collapse. He said: “South Africa is such a critical country for the whole of the continent. It still has a majestic constitution – probably the best constitution in the world. Mr Hain said he found the process of making the film “exhilarating”. Last month Mr Hain became a non-executive director at Amara Mining, formerly known as Cluff Gold, which has interests in Burkina Faso, Côte d’Ivoire and Sierra Leone.